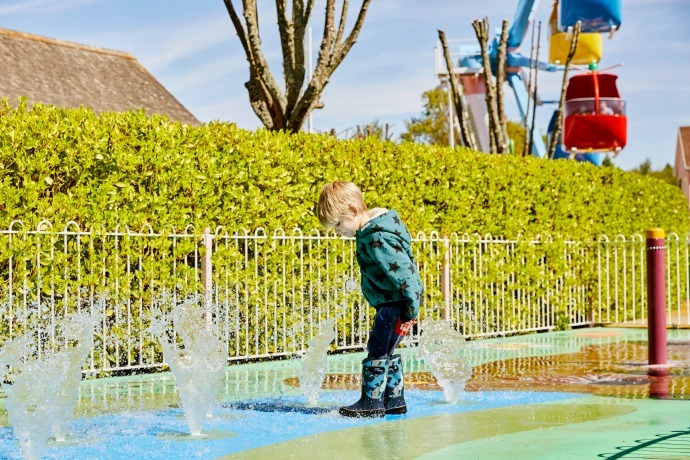 Oh to be a child again, to run into a water park head first (quite literally) and splash to your heart's content, not worrying about the fact your Mum forgot to pack spare clothes for one of you, or that the water is coming up over the top of your wellies and creating puddles inside them. The boys were in their element at the splash zone in Peppa Pig world and thankfully the wonderful staff let us dry some of their clothes on the radiators as they literally sat in the puddles at one point. 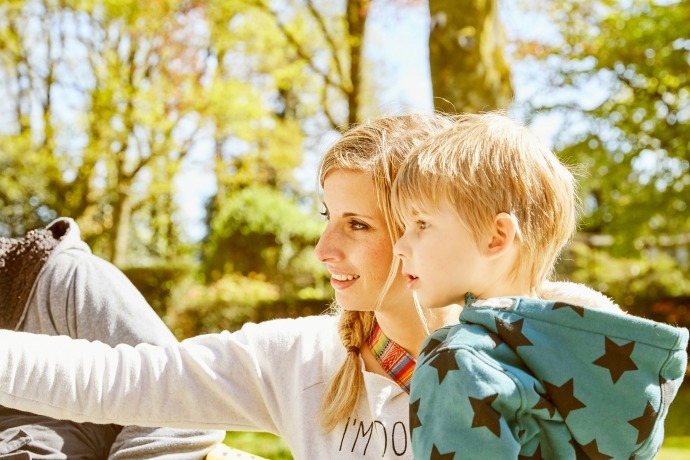 Not all children are as lucky and carefree as mine though, and we were at Peppa Pig world for an important reason, to learn more about the work of Save the Children, and their new fundraising campaign, the Muddy Puddle Walk. 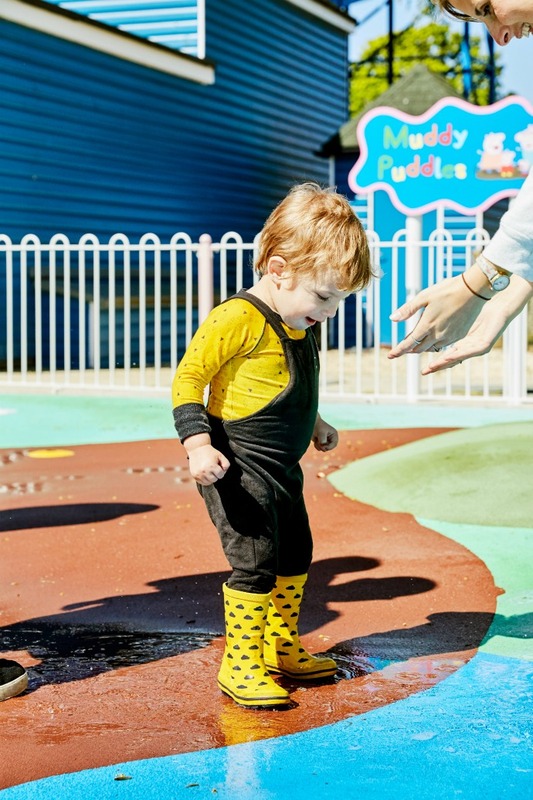 Nurserys, schools, playgroups and individuals can pledge to take part in a Muddy Puddle Walk between 8th and 14th of May to help raise money for the most vulnerable children. You don't need a big space, you don't even need real puddles, you can interpret it as you like. 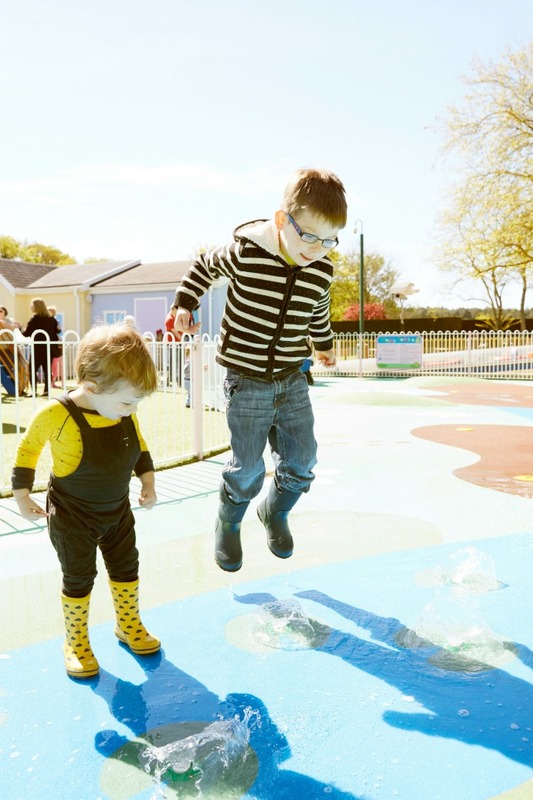 You may want to do a sponsored walk, you may want to do a jumping challenge in the garden, you may want to make your own paper puddles and jump around inside the classroom. Archie's nursery are doing a walk along the beach (and I will definitely be taking spare clothes along this time!). Just grab some friends and apply for your free fundraising pack here. By taking part, you will help support the charity's work to give every child the right to play, learn and grow up healthy and happy. Millions of children miss out on this, just because of where they are born. We had a wonderful day splashing and exploring Paulton's Park and Peppa Pig world and we are looking forward to our muddy puddle walk in May!